The New York City Economic Development Corporation has suspended business with Waldner’s Business Environments, a major furniture dealer, amidst an ongoing union lockout. After refusing to negotiate a new union contract with Teamsters Local 814, Waldner’s terminated its entire union workforce earlier this month, locked out the union, and replaced drivers and warehouse workers with a subcontractor. NYCEDC notified Teamsters Local 814 of its decision Wednesday to suspend business with Waldner’s as it investigates the labor dispute. NYCEDC is a City-controlled public benefit corporation that works to stimulate business growth in the city through redevelopment projects and incentives. Its president is appointed by the mayor. The move by EDC comes as Teamsters Local 814 escalates its protests against Waldner’s and its customers. 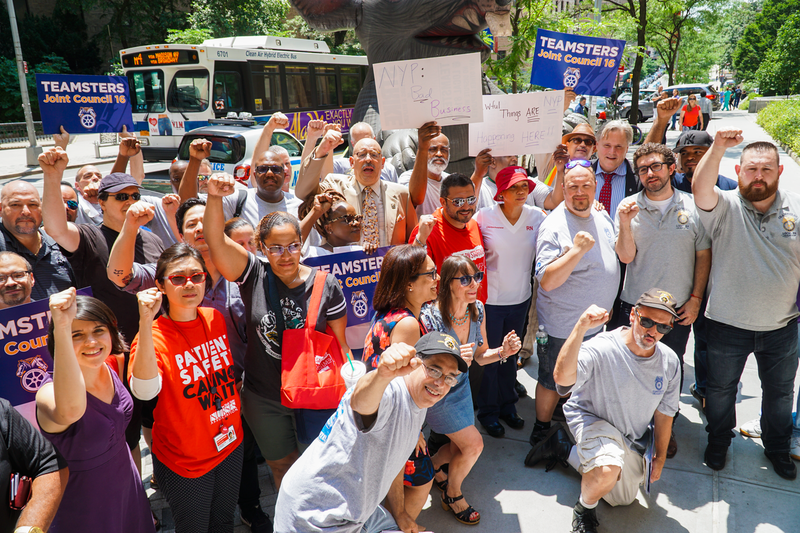 Tuesday, nurses and other healthcare workers from New York Presbyterian Hospital joined fired Teamsters at a rally outside the hospital. The hospital is Waldner’s largest client. Since the lockout began, two separate Waldner’s deliveries by subcontractors were turned back by construction workers at a New York Presbyterian construction project on the Upper East Side. Teamsters Local 814 has filed charges with the National Labor Relations Board based on Waldner’s unlawful refusal over a period of several months to bargain a new contract. On July 5th, the company locked out the over 40 union drivers, helpers, and warehouse workers and replaced them with cheaper subcontractors. Local 814 also launched a new website this week, DropWaldners.com, to inform Waldner’s clients of the company’s abuse of its workers. The website includes campaign news, a list of responsible office furniture dealers, content for supporters to post on social media, and a link for customers to join the boycott. “This new website exposes the truth about Waldner’s. I hope every customer visits and learns who they are really doing business with,” said Ide. Waldner’s is one of the largest office furniture companies in the New York City area and has been unionized for over 50 years. The last union contract expired on June 30th, although many of its provisions remain in effect, as required by federal labor law. Teamsters Local 814 is contacting all Waldner’s clients to ask them to cease business with the company so long as it continues the lockout and refuses to bargaining with the union. Waldner’s additional clients include CUNY, SUNY, Columbia University, New York Life, Macy’s, the MTA, Estee Lauder, and Spotify. 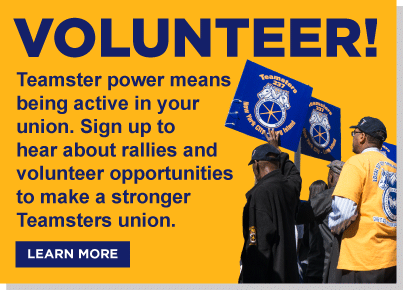 Teamsters Local 814 is committed to bargaining a fair contract for both sides and has repeatedly expressed its willingness to consider any issues Waldner’s management would bring to the table. Until that time, the union will take its case directly to Waldner’s clients, in person if necessary.